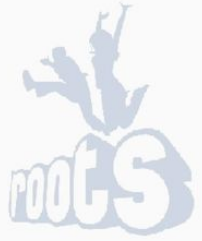 The ROOTS study is a prospective cohort with the primary aim of determining the contributions of genetic, physiological, psychological and social variables to well-being and the emergence of mental health problems during adolescence. The ROOTS study is led by Professor Goodyer, Department of Developmental Psychiatry, University of Cambridge. The ROOTS cohort consists of approximately ~1,300 volunteers recruited from Cambridgeshire and Suffolk schools. Volunteers were recruited into the study at age 14 and have been followed through adolescence. During this study volunteers completed interviews and questionnaires about friendships, moods, physical activity, diet, events and thinking styles. The MRC Epidemiology Unit was responsible for collecting and analysing data on physical activity and diet at age 14.5. Physical activity was monitored using combined heart rate (HR) and movement sensing monitors, cardiovascular fitness was measured using a step-test and diet was assessed using a four day diet diary. Data collected from this study is being used by CEDAR researchers to help build the picture of determinants of physical activity behaviour in children and adolescents.